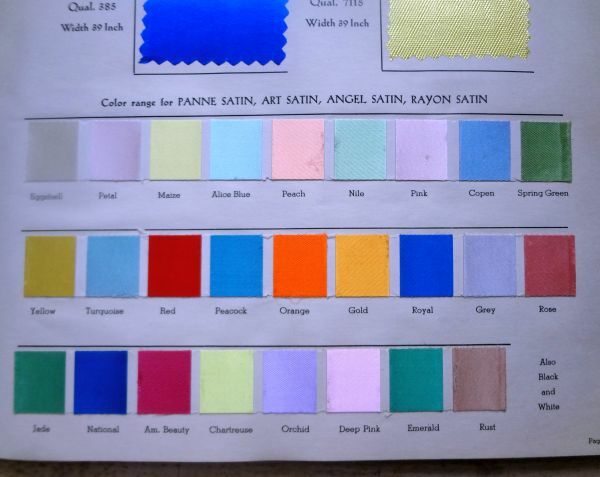 Dance costumes are a bit out of my area of knowledge, but I just can’t resist a book of fabric swatches. 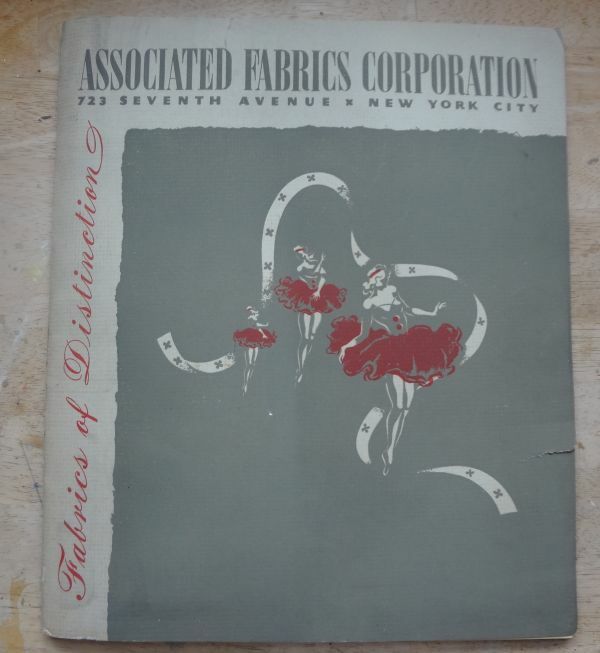 Today, you would not find a fabric store located at 723 Seventh Avenue, as it is along Times Square, but in 1939 I’m sure a lot of Broadway costume designers patronized Associated Fabrics as it was so convenient to the theaters. 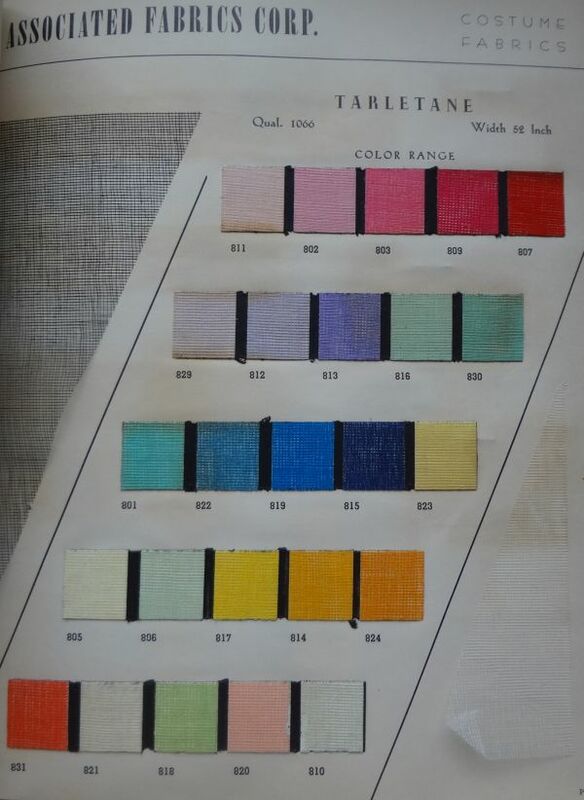 What is remarkable is that Associated Fabrics is still in business, though the company is now located in New Jersey. 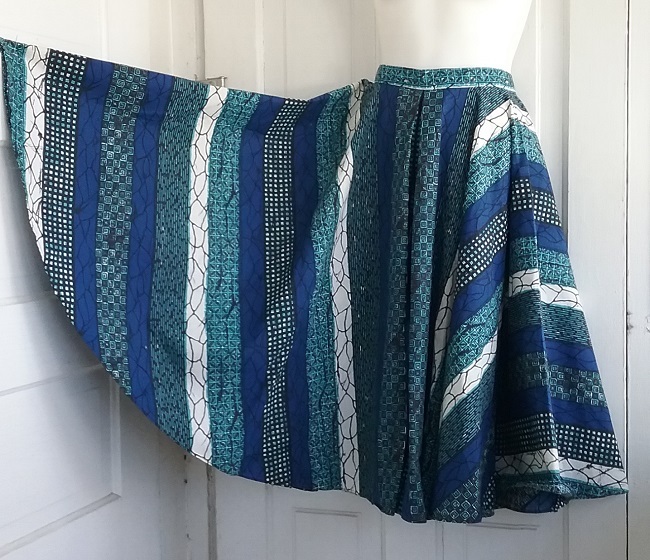 They still are a supplier of theatrical fabrics, and according to their website, they now specialize in Spandex. 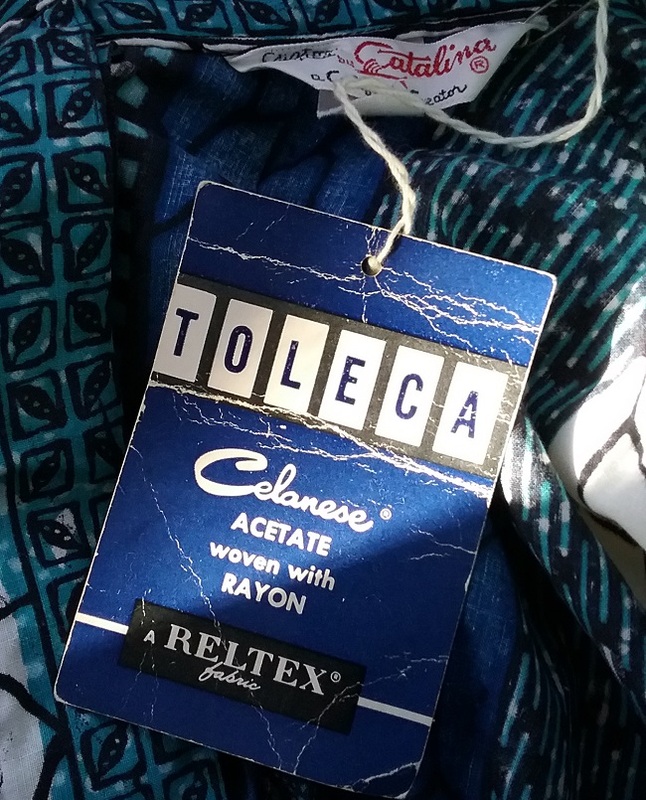 Associated Fabrics was founded in 1928, not an especially great time for a new business. 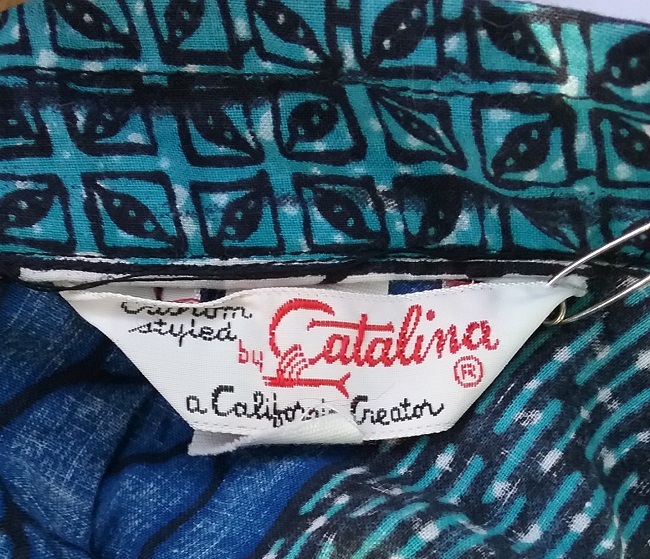 They somehow weathered the Great Depression and eventually became the largest theatrical fabrics company in the world. 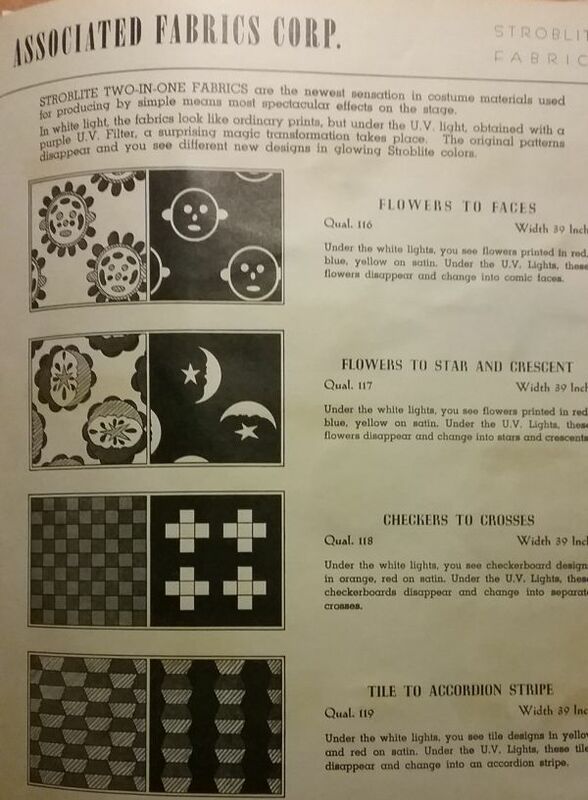 I always learn something new when looking through a great old vintage reference like this catalog. 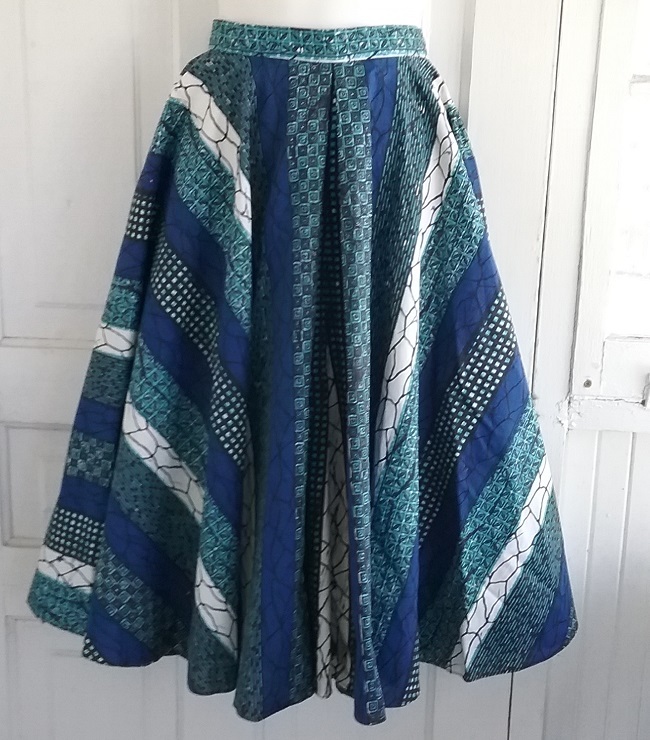 Tarletane is, evidently, a starched, net-like muslin. 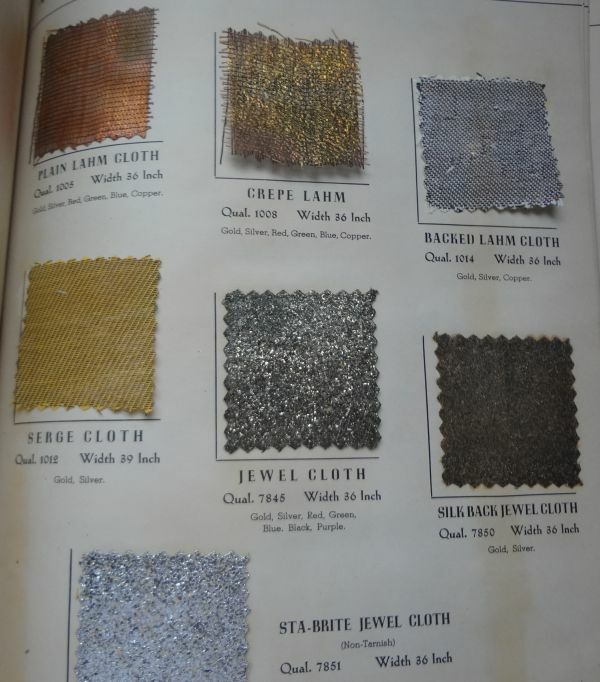 Metallic and lame’ fabrics were very popular in the 1920s for evening wear, but you don’t see them as often in clothes of the 1930s. My guess is that they were expensive to produce. None of the “sparkle fabrics” above are true metallics. These sparkles are fantastic. The glitter was just glued on, but whatever glue they used still has staying power. 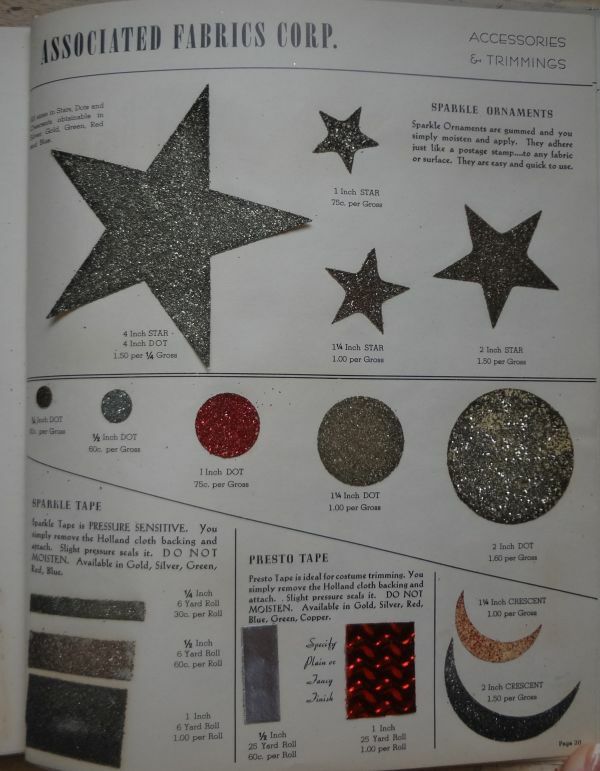 For even more sparkle, Associated offered sparkle shapes and tape that the costumer could apply to an otherwise plain fabric. 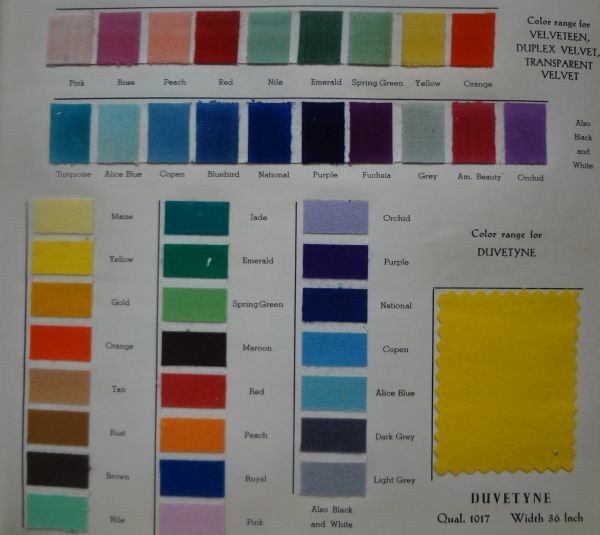 Just look at the range of colors available in duvetyne. 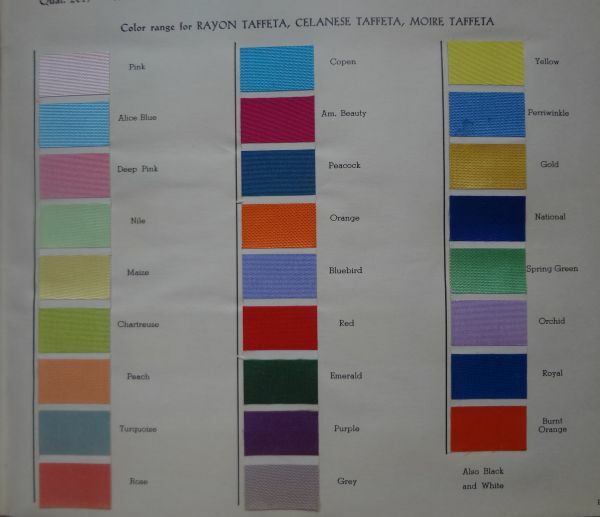 Duvetyne is brushed on one side, like flannel, and these samples appear to be made from cotton. Yes, these are real silk. 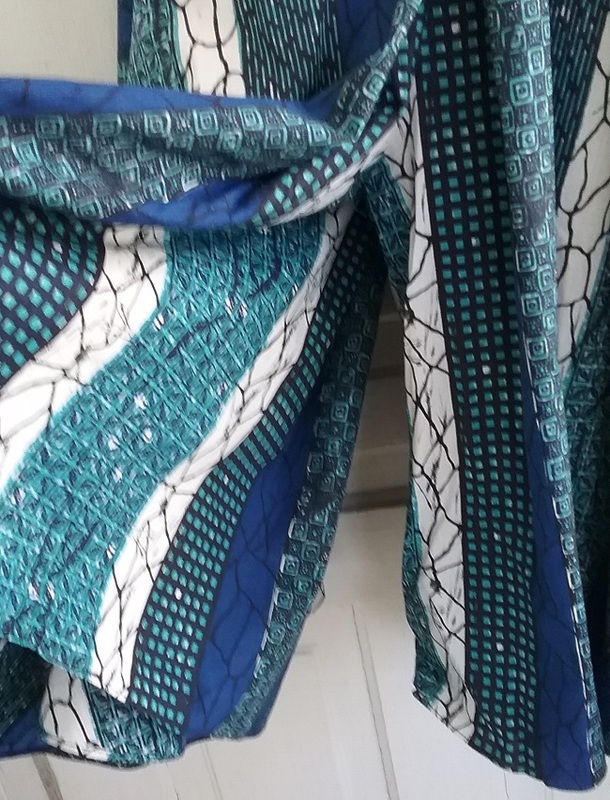 And here’s a selection of rayon. 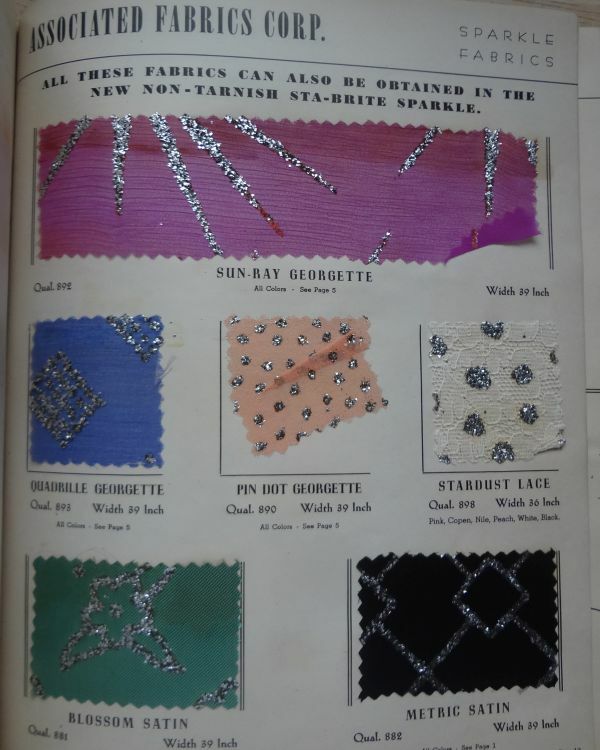 But probably the most interesting page in the catalog contains no swatches at all. 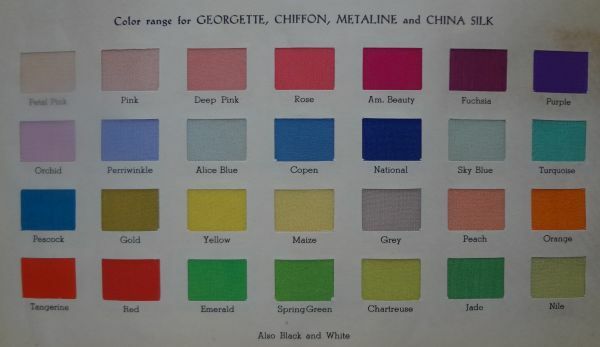 According to the Associated Fabrics website, just before WWII they were the first company to offer florescent fabrics in the USA. 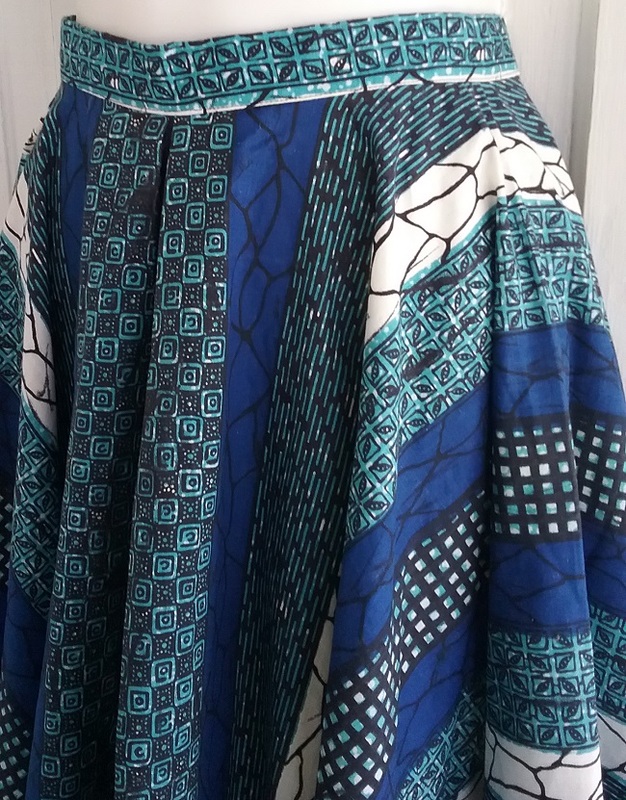 Here you see the concept, where the fabric was printed to look one way under regular lighting, but under UV lights, a different pattern appeared. 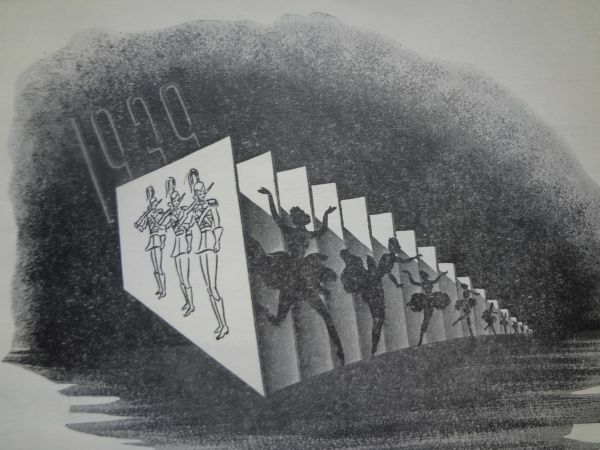 This must have been amazing for audiences in 1939!